JoDee Bowen CPA, LLC has been providing quality, personalized tax and financial guidance to individuals and businesses since 2007. Our expertise ranges from basic tax compliance and accounting services to more in-depth services such as QuickBooks support and financial planning. JoDee Bowen CPA, LLC is a prominant firm in and throughout the West Cobb area. By combining our expertise, experience and the team mentality of our staff, we assure that every client receives the close analysis and attention they deserve. Our dedication to high standards, hiring of seasoned tax professionals, and work ethic is the reason our client base returns year after year. Our mission is to help clients maintain financial viability in the present, while taking a proactive approach to achieve future goals. This requires open communication to reach an understanding of our clients' needs through research and sound analysis. JoDee Bowen CPA, LLC is dedicated to meeting these goals with high standards of excellence and professionalism. We have been a staple of the area's business community for years, and pride ourselves on the level of esteem we have earned. Our dedication to hard work has earned the respect of the business and financial community in and around the area. We believe this to be a direct derivative of our talent and responsiveness to our client base. Whether you are a current or prospective client, rest assured that individuals and businesses who choose JoDee Bowen CPA, LLC receive competent and timely advice. A native of Chattanooga, Tennessee, upon graduation from what is now known as Southern Adventist University with a Bachelor of Science degree in Accounting, JoDee came to Atlanta and spent 10 years working for a large local CPA firm, Babush, Neiman, Kornman and Johnson. It was at BNKJ that she worked extensively with small, closely held business performing their accounting functions on a monthly or quarterly basis, preparing quarterly payroll tax reports, reconciling accounts or assisting the client bookkeeper with problems in these areas, preparing the annual local tax filings such as personal property returns and preparing the annual business tax return. This overall experience provided JoDee with a broad working knowledge of all things critical and important to running a small business. In 1994, she shifted her career from being in public accounting to private industry. 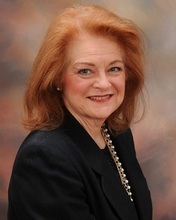 She spent the next 12 years in the private sector as controller or chief financial person to a dialysis company, the third largest wholesale airline parts company in the U.S. with gross revenues of $100M and a family with multiple family limited partnerships with extensive real estate investments and a 120 bed skilled nursing home facility in Atlanta. In the spring of 2007 after moving out of metropolitan Atlanta 5 years earlier, JoDee “hung out her own shingle” and began her own public practice in the area nearer to home in West Cobb County, Georgia. Despite the downturn in the economy in 2008/2009, JoDee’s practice survived and continued to grow. She has multiple small business in the Marietta/Cobb County area such as plumbing businesses, an auto body repair shop, chiropractors, therapists, wholesale travel agency, real estate agents and others. Her services include everything from providing bookkeeping services monthly or simply reviewing quarterly the client’s bookkeeping to assist them to preparing the business tax return. She also has a large individual tax clientele in addition to the small businesses. Beginning in 2010, Richard Green, CPA joined JoDee with a significant individual tax practice, unique in that most of his clients were clergy and/or U.S. citizens working abroad. Both of these have very unique tax issues involved. This has expanded our range of services and provided a niche that not many CPA firms have. Our clientele includes all 50 states in the Union as well as many countries from Africa, Europe, and Asia. Modern technology makes it as easy to service a client on the other side of the world as it is one who is next door. Outside of the office, JoDee enjoys entertaining in her home, hiking, camping, and her 2 cats. She is particularly fond of hiking in the Canadian Rockies around Lake Louise and Banff. 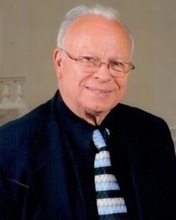 Richard Green graduated with a Bachelor of Arts degree in Accounting in 1961, from what is known today as Southern Adventist University. In 1962, he became licensed as a Certified Public Account in Tennessee . After working two years for the firm of Knight and Davidson, Certified Public Accountants, he spent another 13 years in auditing, six of those years in international auditing based in Singapore. There were many international auditing assignments in Asia during that time. In 1982 he made a career change from auditing into financial management. Richards accomplishments include, Vice President of a consortium of International Insurance Companies headquartered in Takoma Park, Maryland with operations in the USA and several countries in Europe; Vice President Finance for Adventist World Radio with operations in six countries; and five years as Director of Premium Accounting and Special Financial Projects for The United States Fidelity and Guarantee Insurance Company in Baltimore, Maryland. In 1967 Richard began a private practice focusing on individual income tax compliance with a specialty in clergy tax returns. In 1976 while living and working in Singapore, he added a specialty in tax compliance of Americans living and working internationally. Retired from the corporate management, Richard now focuses on individual federal and state tax returns with special emphasis on clergy and Americans on international work assignments.